Dispensaries selling pot are clearing their shelves, and in many cases, holding blowout sales as recreational pot becomes legal across Canada. It might seem counterintuitive on the eve of cannabis legalization across Canada — but many owners have applied for provincial licences under the new regulations and don't want to risk running afoul of the law. Oana Nicoara, a co-founder of Eggs Canna, said her dispensary has twice paid $30,000 for a medical marijuana retail use licence from the city of Vancouver. But under new laws, dispensaries are required to hold a municipal and provincial licence. 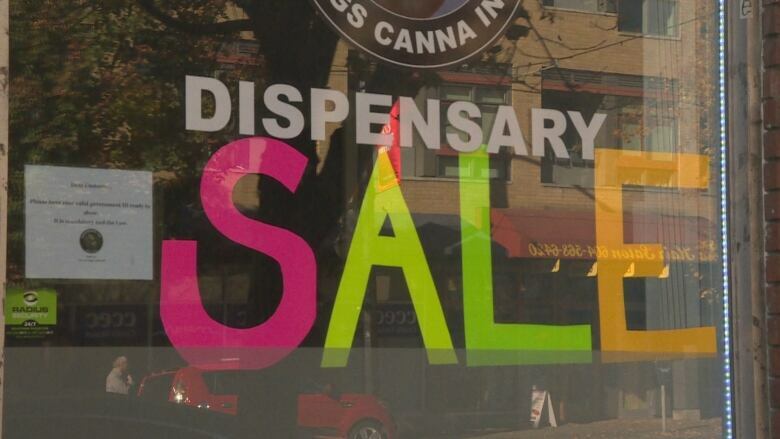 As of Wednesday, there is only one legal shop in the province, a government-run B.C. cannabis store in Kamloops. "We don't want to stay open knowing that the province has stated that in order for us to stay open we need to have both provincial and municipal licences," said Nicoara. "We are not going to push the envelope and remain open." Nicoara said provincial licence applications are in the works for three stores in Vancouver, and another five in surrounding municipalities. She said she hopes at least one location could re-open within eight weeks, with all new stock being purchased from the Liquor Distribution Branch under the new legal framework. But until then, the stores are clearing their shelves for a massive blow-out sale, with prices being slashed in an attempt to get rid of stock. "Everything's got to go," said Nicoara. But that's not the plan for all dispensaries. Many plan to keep operating without the proper paperwork — and it's unlikely there will be a rush to shut them down, with officials indicating they'll take a measured approach in policing the new environment. "We don't know what's going to happen," said Nicoara. "Do I think they're going to be raiding dispensaries and closing doors down come October 18th? No."